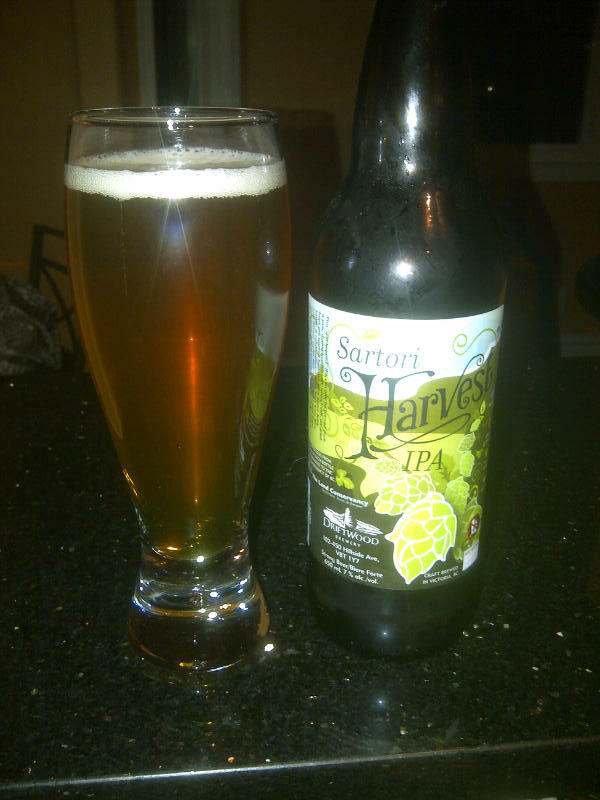 From Driftwood brewing in Victoria BC comes the “Sartori Harvest IPA” a wet hopped IPA. 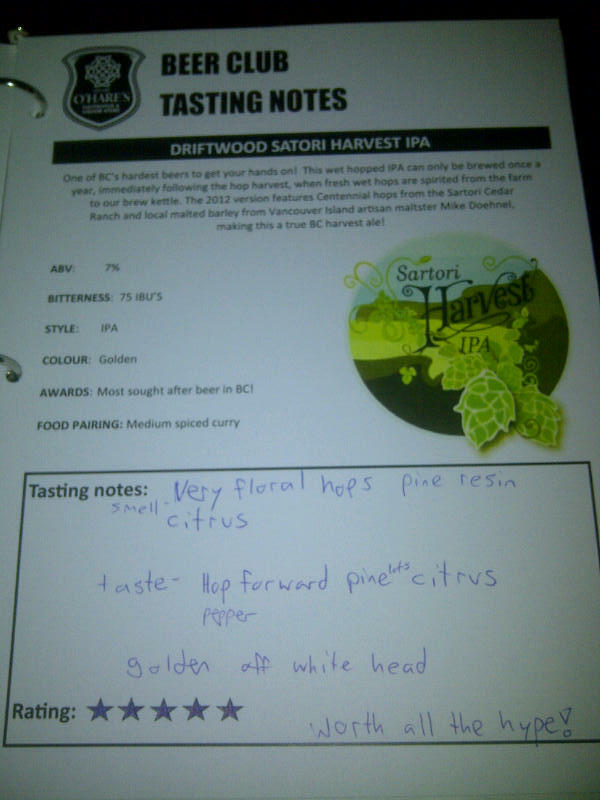 The hops for this beer was picked at the Sartori Cedar Ranch in Chilliwack BC and the malts came from Vancouver Island artisan maltster Mike Doehnel. These wet hopped IPA’s can only be brewed once a year immediately after the hop harvest and the hops for this beer was picked in Chilliwack then driven right back to Driftwood Brewings brewery in Victoria. The beer pours a golden colour with a white head. The aroma of the beer is of very floral hops, pine, resin, and some citrus. The flavour of the beer is quite hop forward with some earthy notes, pine, resin, citrus and some pepper. The alcohol content of this beer is 7% and the IBU is 75. This is the most sought after beer in British Columbia and now I know why! This is one amazing IPA and I wish I had been able to get another bottle of it! Nevermind I ended up picking up five more bottles when no stores had any right having any left but this beer is amazing none the less. This entry was posted in India Pale Ale and tagged bc, bitter, bitterness, canada, citrus, floral hops, hopped, hops, pepper, pine, resin, victoria, wet hopped.